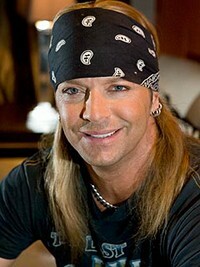 Bret Michaels is recovering at a private facility that specializes in the rehabilitation of diabetic patients after his emergency appendectomy Monday. “While the surgery went well and doctors are optimistic that the rocker will make a full recovery, the fact that he was exhausted due to his rigorous schedule prior to the surgery and coupled with the fact that he has diabetes, the surgery has taken its toll,” his rep tells PEOPLE in a statement. Michaels was discharged from the Christus Santa Rosa Hospital-Westover Hills in San Antonio, Texas, on Wednesday, the hospital confirmed to local newspapers.